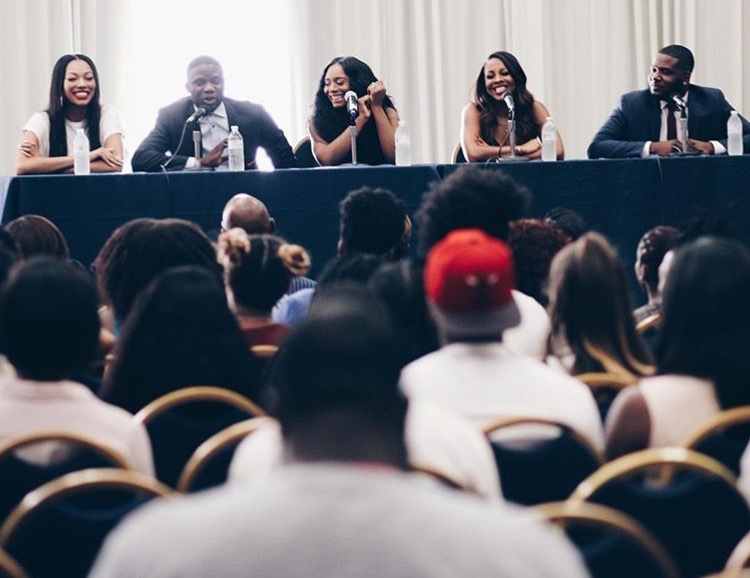 Founder Lawal, Spoke Alongside Other Influencers At The HBCU Business Expo - Luke Lawal Jr.
9/10, NW Washington, DC – Luke Lawal, alongside a Panel of influencers, spoke at the first annual HBCU Business Expo at Howard University in Washington, DC to highlight the importance of minority ownership and networking within the African American community. The Expo was designed to provide students and aspiring professionals educational tools to succeed in the business realm and networking opportunities to build lasting connections. Lawal along with Bianca Golden, America’s Next Top Model participant; Miss Diddy LA, CEO of the Brand Group LA; Yandy Smith, media personality, entrepreneur, and talent manager; and Brian Young, brand manager at the Shade Room shed light on maintaining successful businesses as African American millennials. Lawal, who completed his undergraduate degree at Bowie State University shared his personal growth stories and the challenges and sacrifices that come with being a young African American business professional. He discussed his methods and strategies for branding, consistency, and relevance. Lawal spoke to young aspiring entrepreneurs and professionals about the importance of networking and prioritizing, keys to longevity, and building one’s brand. Moderator Josh Heard, senior Political Science student at Howard, opened the floor for students to ask the panelists for advice and guidance regarding their own personal goals and business aspirations. Students asked Lawal about his personal sacrifices, day to day tasks, and his plans for expanding HBCU Buzz. For more information, please contact Myja Gary, the executive assistant to Luke Lawal, at myja.gary@lncompany.com.